This is the introduction to a three part series about honey, its medicinal and its magical qualities. I will also include food recipes using honey on the "What's Good for You" page. Part 1 Honey: How Sweet It Is! When you drive through our God's country in the Finger Lakes, and glance towards the fields along the road you may see some wooden boxes stacked somewhere in a hedgerow. These are filled with honey combs and of course the live honey bees that produce nature's most complete food. At this point in my writing, I will not say that I am an expert on beekeeping or the process of gathering raw honey. I will say that I use it daily as a natural sweetener, as a nutritional supplement, and as a skin care product all because I have read so many great things about it for many years. Scientific and medical research continue to support its many benefits. As with other postings for "Fruits of the Earth" I will try to visit a local honey producer or two in the future, and maybe pass along a few pictures. I remember growing up with members of the Wixson family, one of the best-know producers of honey and honey products for probably 60 years. Anyone who has visited along Seneca Lake and Route 14 in Lakemont, NY has to have stopped at the Wixson Honey Stand to see a live beehive, buy some orange blossom, buckwheat, or wildflower honey, and maybe some beeswax candles. And they would have returned year after year for the fresh ice cream that was made in a relic of an ice cream machine! The stand is no longer there and the building has been purchased by another childhood friend of mine. Natural Wools and Other Fibers -About the coats of Alpaca, Llama, Goats and Sheep, and Angora Rabbits that are grown and produced by local herders. This one should catch the interest of knitting enthusiast! For future recipes click on the link below. 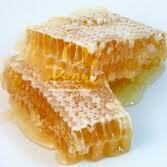 Here is a link written by my daughter Rachael about the use of honey for skin care. You are right but it is now the home of Ray's new venture REDS HOTS, a simple concept for outstanding hotdogs, freshly chopped french fries and a great choice of unique soft drinks. Ray rode the school bus with me enroute from the large metropolis of Altay every day during our childhood!